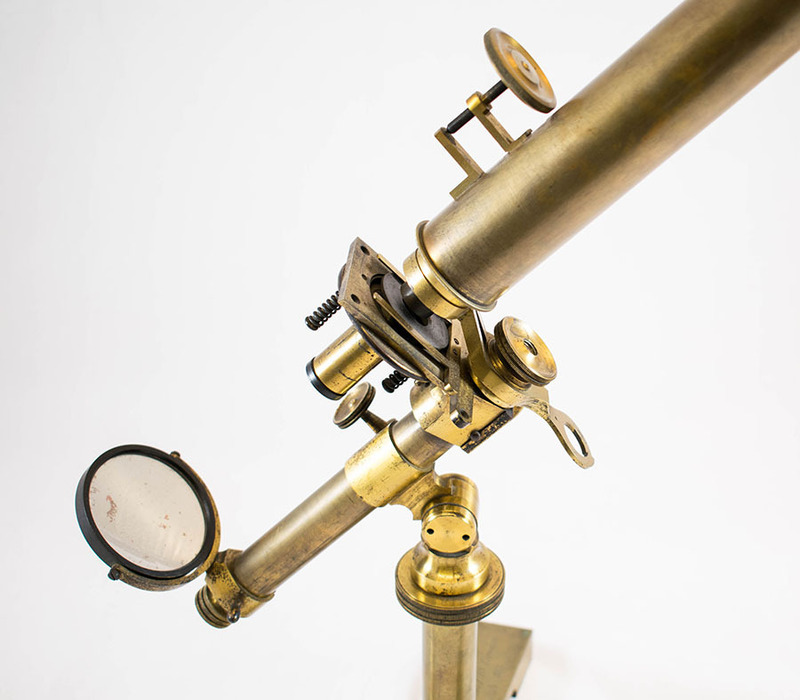 Pictured is an achromatic microscope manufactured by Andrew Pritchard, an optician and instrument maker of the mid-1800s. Joseph Jackson Lister, Lord Lister’s father, was a wine merchant with an interest in the study of optics. His creation of a more accurate achromatic lens allowed for higher resolution viewing, and earned himself a fellowship in the Royal Society. Achromatic lenses focus light of different wavelengths in the same plane, hence producing a sharper microscopic image. 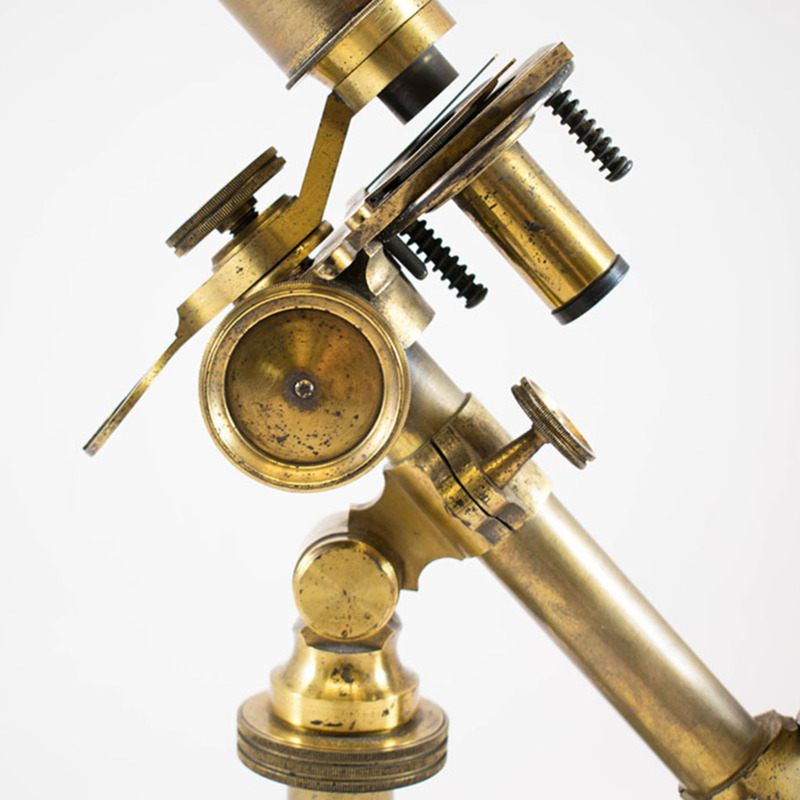 This development in microscopic technology was truly revolutionary. 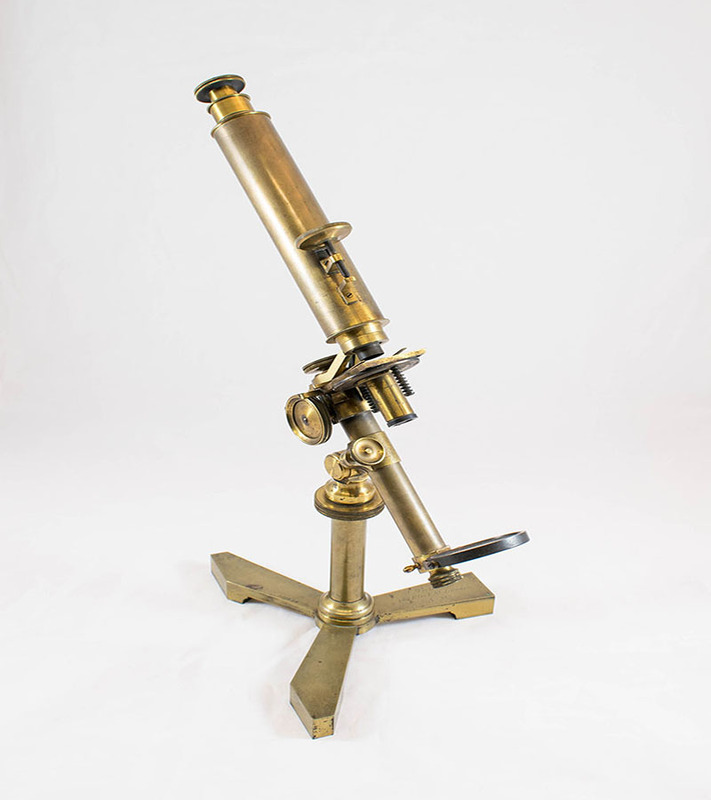 Pritchard; Andrew (1804-1882); Optician and miscroscope maker, “Pritchard-Type Microscope,” Heritage, accessed April 23, 2019, https://heritage.rcpsg.ac.uk/items/show/16. 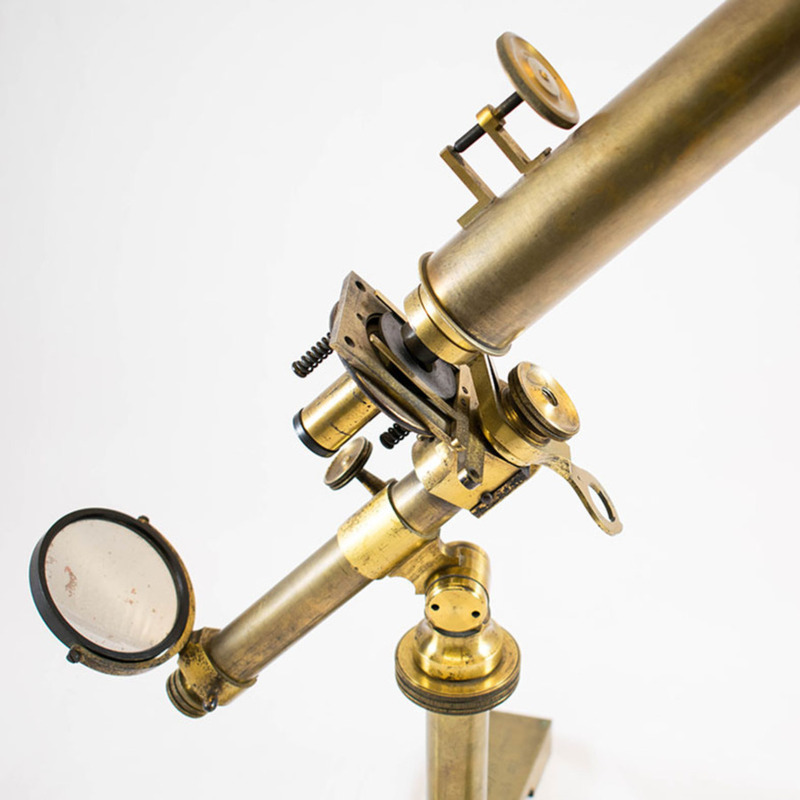 Description: Pictured is an achromatic microscope manufactured by Andrew Pritchard, an optician and instrument maker of the mid-1800s. 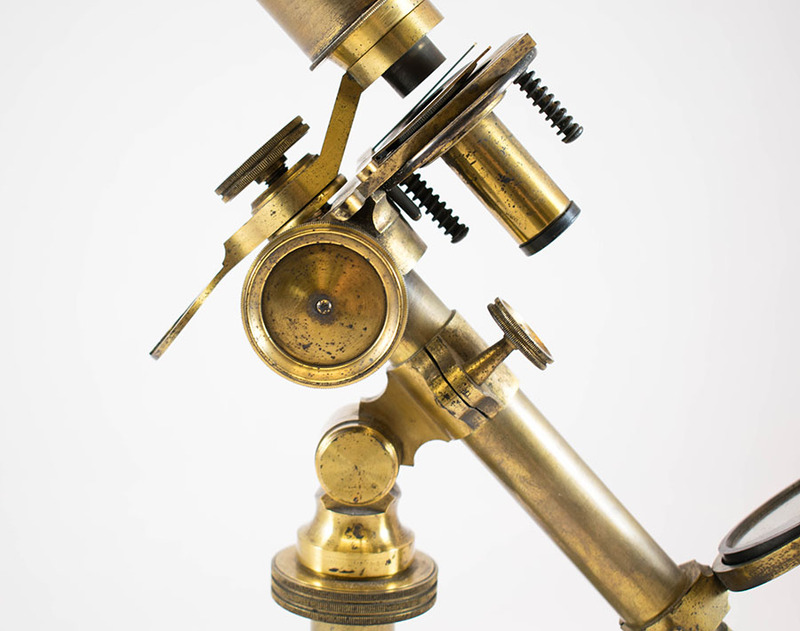 Joseph Jackson Lister, Lord Lister’s father, was a wine merchant with an interest in the study of optics. His creation of a more accurate achromatic lens allowed for higher resolution viewing, and earned himself a fellowship in the Royal Society. Achromatic lenses focus light of different wavelengths in the same plane, hence producing a sharper microscopic image. 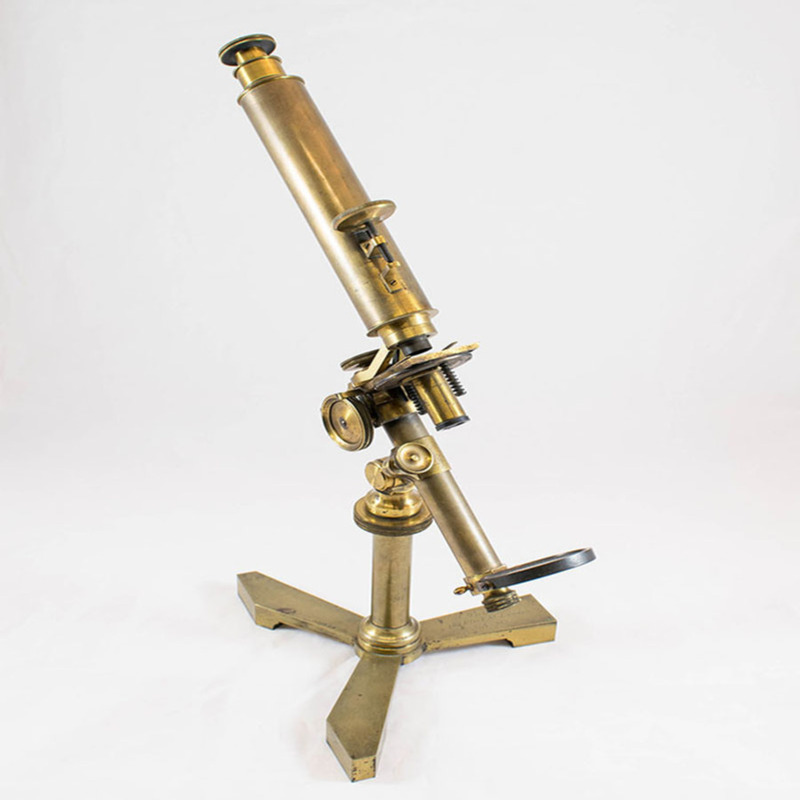 This development in microscopic technology was truly revolutionary.